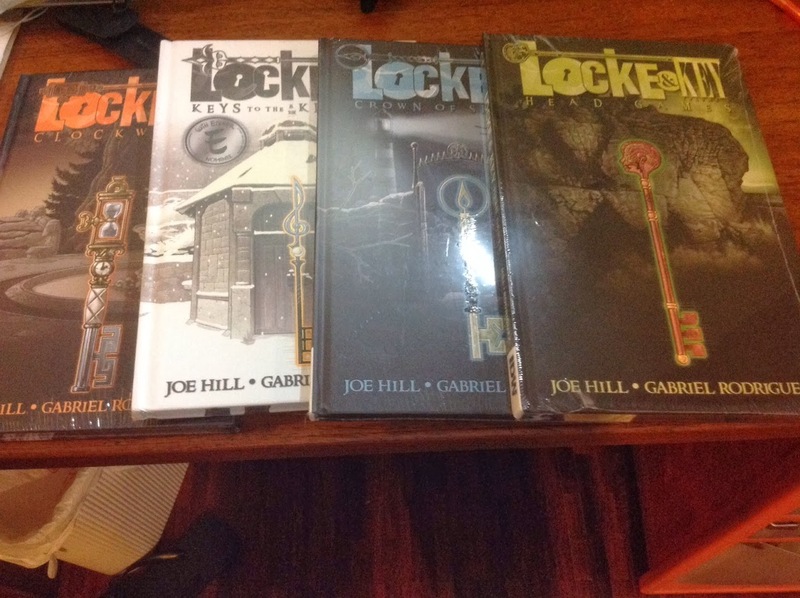 I read the first volume of Locke & Key back in 2008, when a friend gave it as a Christmas present. It was a satisfying start to a comic series, but I also knew I did not want to get invested until the series was done. Flash forward to 2013 when IDW released the last issue of the series (and the fifth volume has yet to be compiled) and creators Joe Hill and Gabriel Rodriguez did not disappoint. There's several reasons why the comic works, including a smart and compelling villain, a diverse and multiracial cast (although sadly this does not extend to the main characters), and all-too-human tragedy that rings true. I've given away the original volume I got as a present, and this isn't the first time I bought copies of the series (I've given away them too). My personal copies were bought from Comixology, but I continue to buy these physical copies since it's the best way to foist them on people (the same goes for Jeff VanderMeer's Wonderbook, which I've given as gifts multiple times). 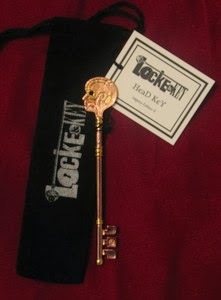 Here's the Head Key from Skeleton Crew Studio. 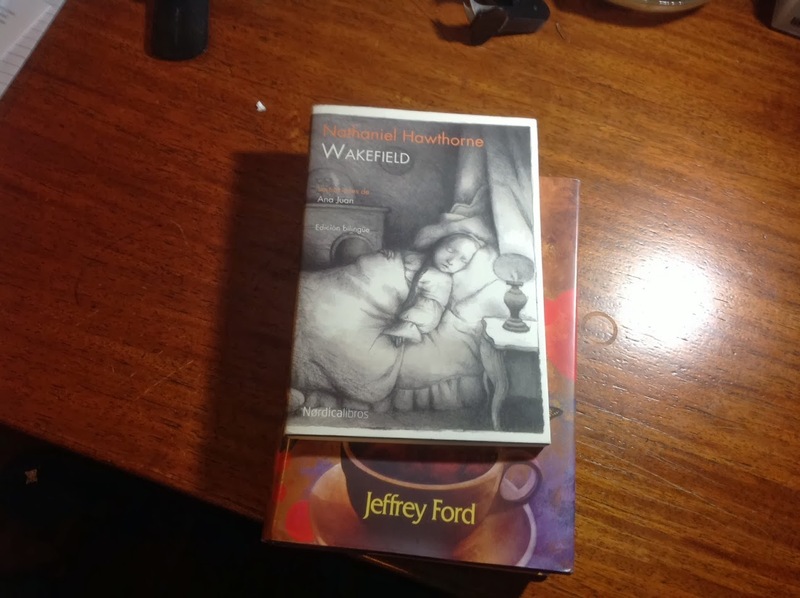 Wakefield is the first book I managed to read in 2014, although this is really more of a chapbook, with only one story (albeit with a Spanish translation included) in it. 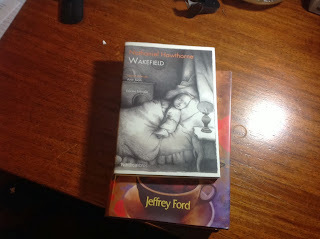 I've never heard of the "Wakefield" story before until this particular edition was recommended by Jeffrey Ford. It's a quaint piece, and it's a perfect example of a story that feels like it's speculative fiction without containing fantasy or science fiction elements per se. This particular edition has art by Ana Juan, which accompanies the Spanish text. The original English version is at the end, although it misses out on most of the artwork. ... but they all went down the drain. If you're still reading this blog, thanks for staying for the entire year that it's been inactive. I was planning to "leave" the Internet--away from Livejournal, away from various news websites (the death of Google Reader helped speed this up), away from any controversies (and there's a lot in 2013, just like any other year)--and that worked to a certain extent. And if you "turn off" the Internet, life still goes on. Unfortunately, I wasn't really able to accomplish any goals I had set. I only managed to read a measly six books in 2013 for example (although they were all fantastic books and could easily have been my top ten). I didn't get any writing done. But I did get to discover a lot about myself. My weaknesses. My flaws. My desires. And I'm genuinely surprised at everyone who's been supportive, the new friends that I've made, and the people who've stuck around even if I'm undeserving. So if you're still reading this, thanks.